A wearable D lock (AKA U-lock). Clips to belts and back pockets. 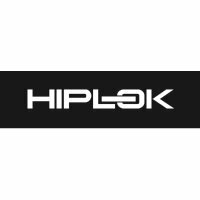 Hiplok, the company who perfected the wearable bicycle lock, have diversified from chains and padlocks to wearable D-locks. The Hiplok D Lock's integrated clip makes it easy to attach this lock to a belt or bag strap, or secure it to a back pocket. If you have ever been less than impressed by your current lock's carrying options, you are a candidate for the Hiplok D Lock. To see this innovative lock in action, see the Hiplock video. The lock itself is rated Sold Secure Silver - tested to withstand 3 minutes concerted attack. The Hiplok D Lock's barrel and 13mm shackle are hardened steel encased in a tough nylon shell that's kind on your bike's paint finish. Compact size: 13.5 x 7cm 'inside the D'.